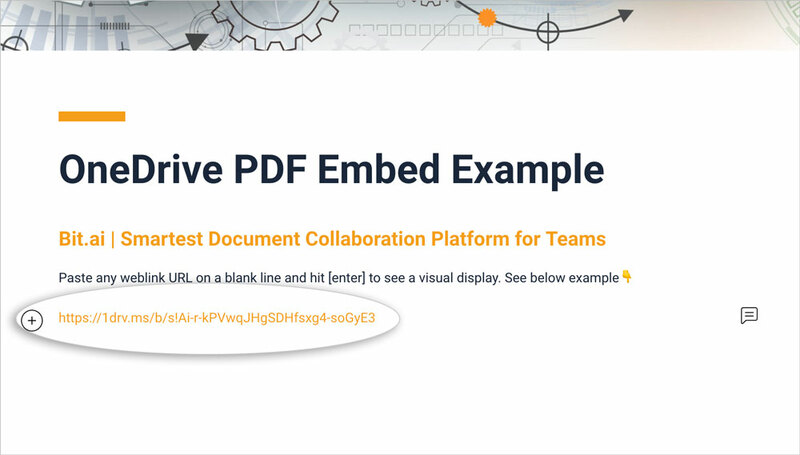 With Bit you can copy and paste any OneDrive PDF weblink on a blank line of a Bit document and hit enter. No more dealing with messy iFrame/embed code! 👉🏼 1. 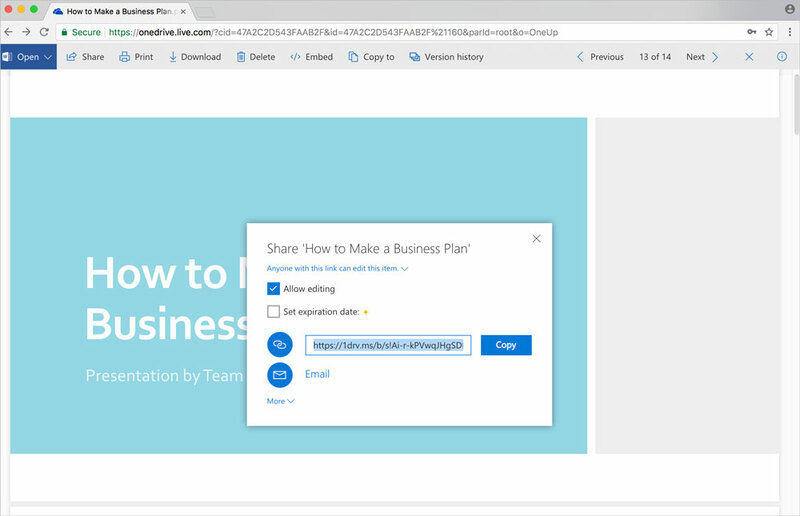 Open up your OneDrive PDF and click the share button on the top bar. 👉🏼 3. 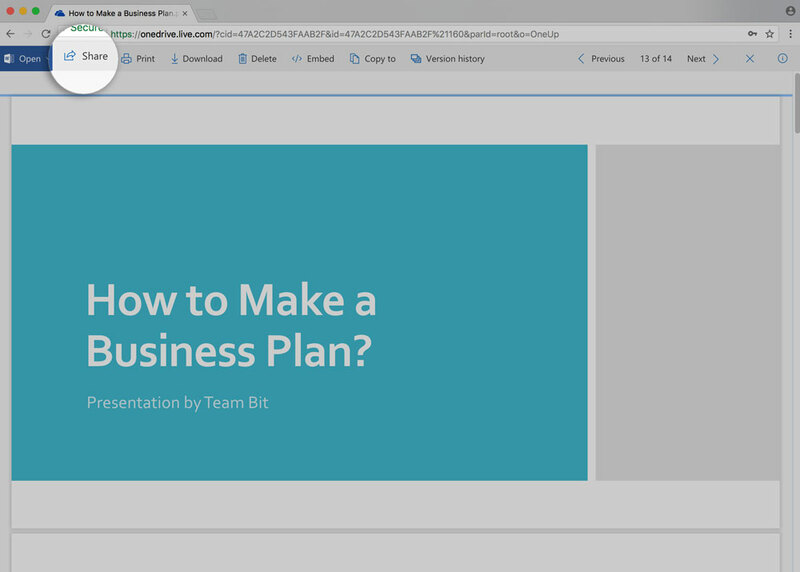 Go to Bit.ai and paste the OneDrive PDF weblink on a blank line and hit enter. 👉🏼 4. 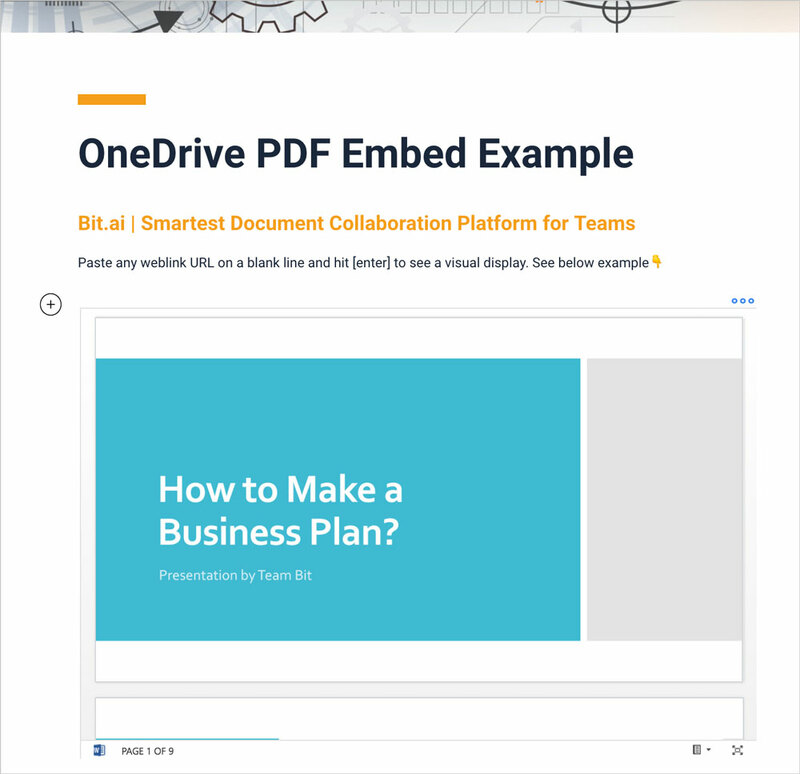 Bit will automatically fetch the OneDrive PDF weblink and display it like this.